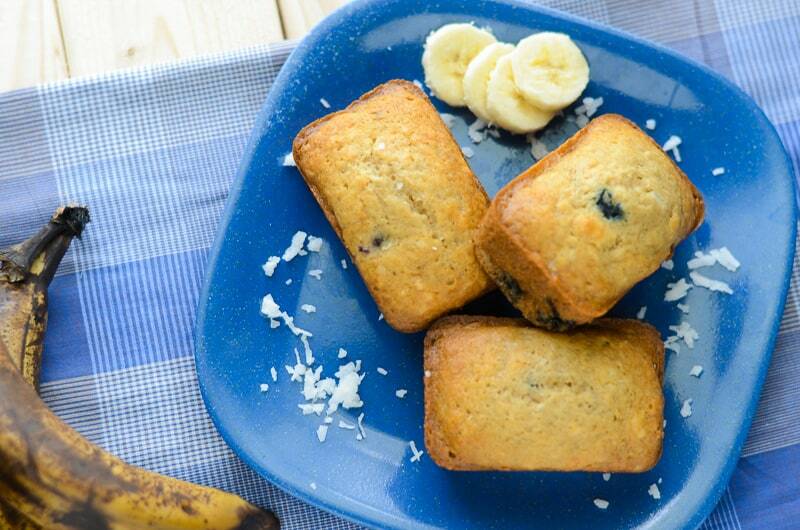 What do you get when you mix banana bread with blueberry muffins and toss in a lot of coconut? This amazingly moist, wonderful anytime treat! OK, so I think banana bread is pretty much a staple in every home around the world. If it’s not, it damn well should be. I mean, they don’t exactly have a lengthy shelf life. How often do you buy a bunch of bananas, and for whatever reason somehow forget about them/get sick of them and ignore them/hide them in the fridge, and boom. Yummy yellow bananas are now brown and mushy and gross. What do you do when that happens? You add sugar and flour and some other lovely ingredients and turn it into a snack. In my case, I always eat a banana before I hit the gym, and I’ve been slacking off a bit lately as far as that goes…so my jumbo bunch has just been sitting on the counter, unloved. And so, banana bread. This time I decided to jazz up my go-to recipe a bit. I happened to have a half pint of blueberries in the fridge, just begging to be used before they took a turn. I never let a berry go to waste. 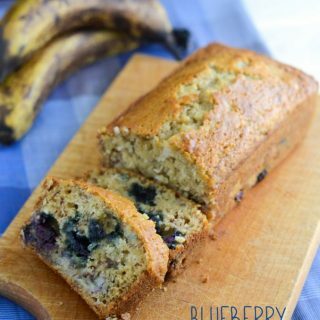 Let’s just say they better thank their lucky stars that they found love with these two, because this Blueberry Coconut Banana Bread is AMAZING. It is honestly the moistest banana bread I’ve EVER had, and trust me when I say I’ve tried my fair share of recipes. I don’t know if it’s the coconut milk or if my bananas were just right or a blessed combination of the two, but it was close-your-eyes-and-savor-every-last-crumb good. This recipe makes a lot of banana goodness! I made a mini loaf, and then finally got to use my baby loaf pan and cranked out 8 of those perfect little guys. The difference in texture between the two was awesome. A slice off the mini loaf was pretty consistent with a hearty slab of regular banana bread, but the minis were like a wonderful little crumby, private loaf of heaven. 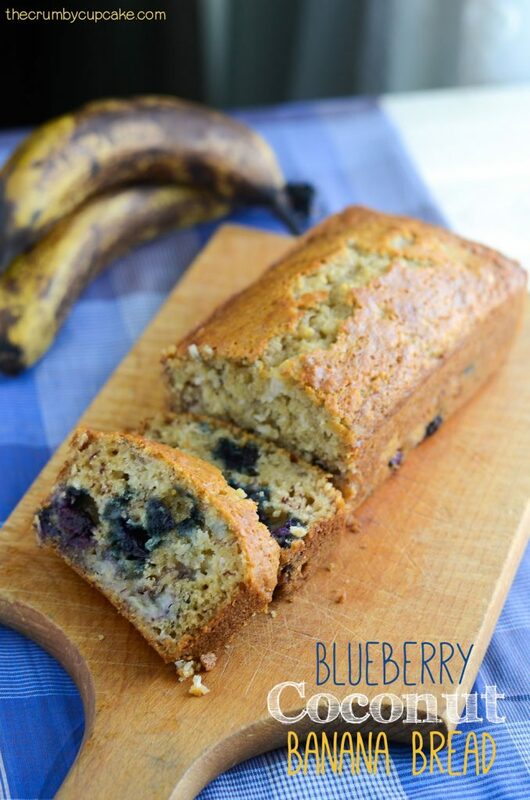 Just bursting with blueberry-tinted coconutty banana heaven. My mouth is watering as I type. HOT TIP: To keep them at their super moistest, wrap each loaf in plastic wrap about 10-15 minutes after you take them out of the oven. The plastic keeps in all the warmth and it’s like a fresh batch of banana bread every time you unwrap it. 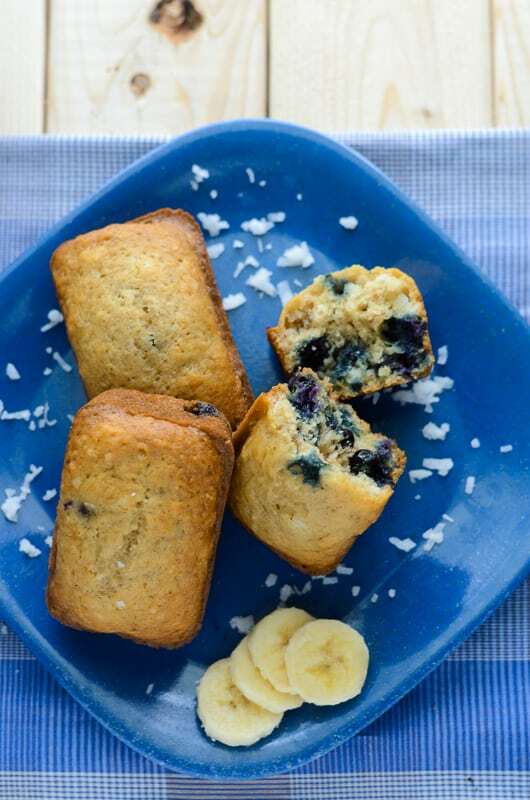 What do you get when you mix banana bread with blueberry muffins and coconut? 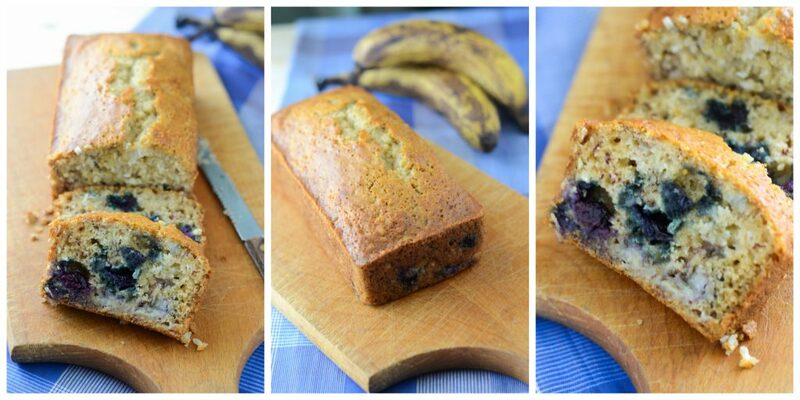 Blueberry Coconut Banana Bread: a moist, wonderful, anytime treat. Preheat the oven to 350°F. Lightly grease a 9 by 5-inch loaf pan, or whatever pans you prefer to use, and set aside. Place the oil and brown sugar in a large bowl and mix well. Add the eggs, one at a time, beating after each addition. Stir in the vanilla and almond extract. In a separate bowl, stir together the mashed banana and the coconut milk. Into the egg misture, gradually stir in the dry ingredients alternately with the wet ingredients. Start and end with the dry mixture. Mix until just combined. Fold in the flaked coconut and blueberries. Be sure not to overmix! Pour the batter to the prepared baking pan. Bake for 1 hour – 1 hour and 15 minutes**, when a toothpick inserted in the center of the loaf comes out clean. Let bread cool in pan for 5 minutes, then move to cooling rack and enjoy! Adjust time if you use different sized pans. A loaf takes about 45 minutes, baby loaves only 20. These banana bread loaves look super moist and inviting! They definitely are! I still have a couple of the babies left over and hubs and I had them this morning with our coffee – still so yummy! I can’t stop looking at these beautiful food pictures.. Gorgeous! 3 of my favorite ingredients! This is my kind of bread, definitely going to make this! It’s super delish, Tara! 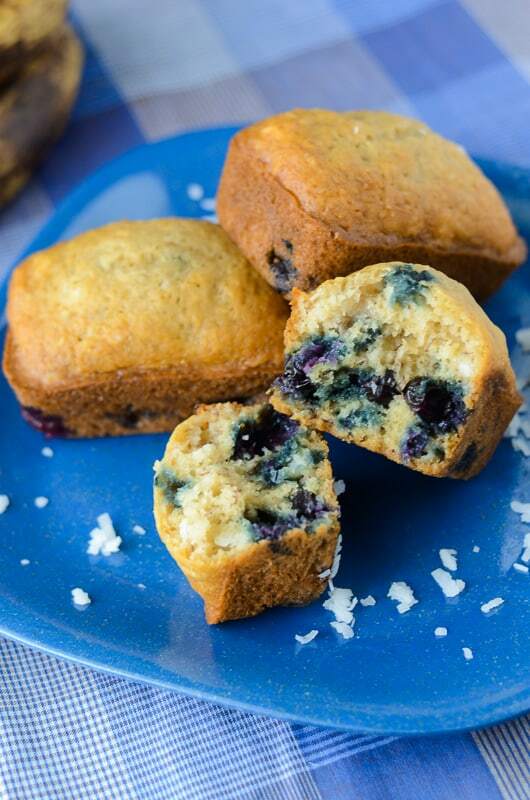 I have some blueberries on their way out in my fridge – I think I’m gonna make it again today!